I went to Thai Pothong in Newtown for the first time two years ago, and since then I've been keen to go back and so made a booking for Mother's Day lunch (and I'm glad I did, the line was out the door with no booking!). Thai Pothong has to be one of the most ornately decorated restaurants I've been to, as soon as you walk in you are greeted by two gigantic, metal dinosaur-like figures. 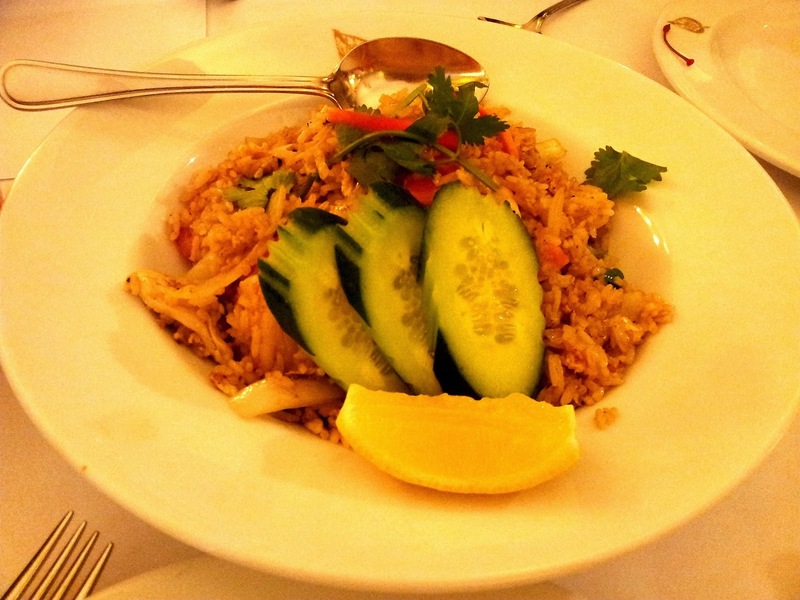 It may not be to everyone's taste, but I liked it- made me feel like I back in Bangkok. Despite the restaurant being busy we had very quick service, our orders were taken promptly and the food arrived just as quick. The food was as delicious as I remembered (although the Green Curry was pretty average), and the spicy dishes actually had a bit of a chilli hit. 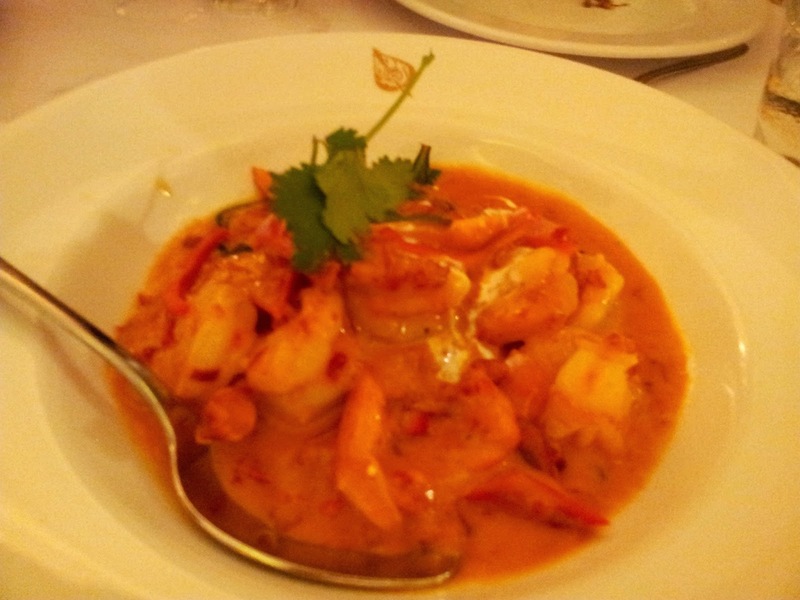 We ordered the Green Curry, Chilli Prawns (spicy, creamy and delicious! ), Pad Se Ew (another tasty dish, although a little oily), Thai fried rice, Chilli Hot Basil Chicken (Can you tell we like our chilli? 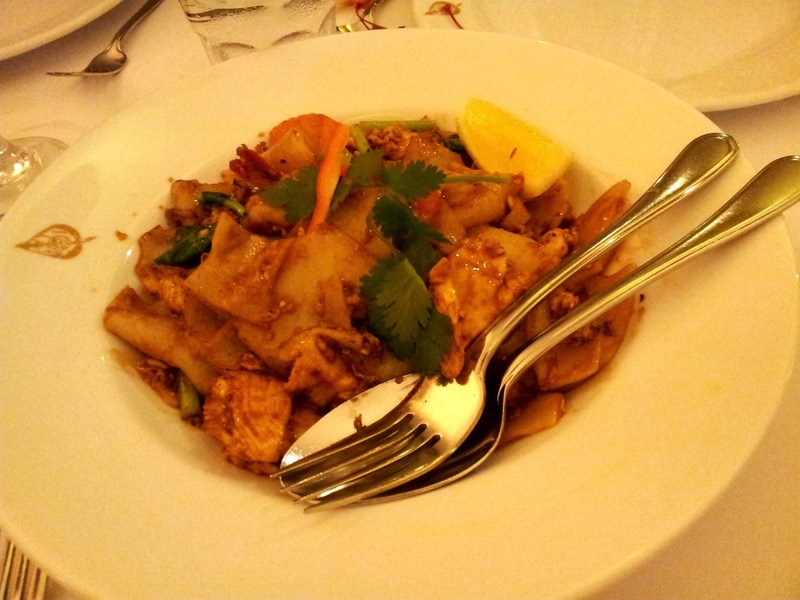 This dish was a crowd favourite) and steamed rice (which is endless at Thai Pathong). That was enough to fill up our two families, 7 people in total. We left the restaurant feeling satisfied and full. Looks like a good selection. Hope you had a lovely day. 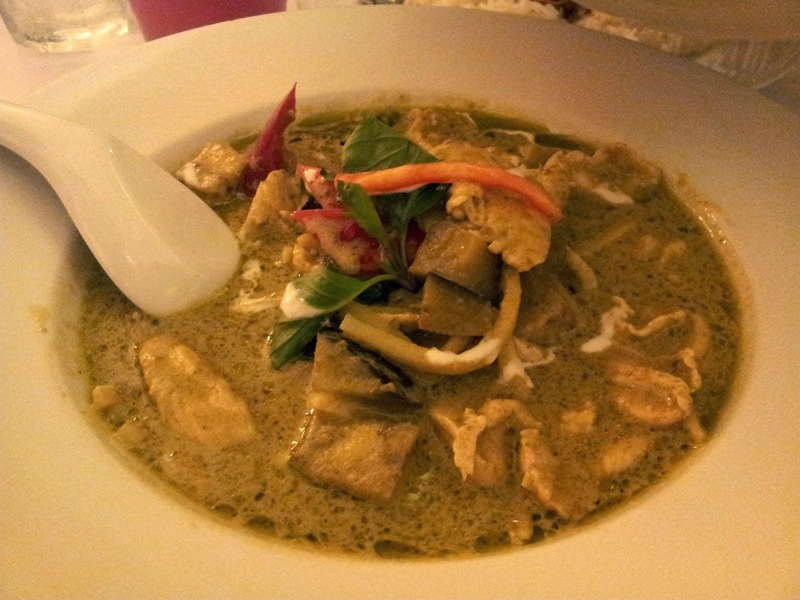 I just love a green curry!